In today’s fast-changing business environment, those firms that want to remain competitive must also be innovative. Innovation is not simply about developing new technologies into new products or services, but in many cases, finding new models for doing business in the face of change. It often entails changing the rules of the game. consideration of how both for-profit and non-profit organizations can benefit from new game strategies. 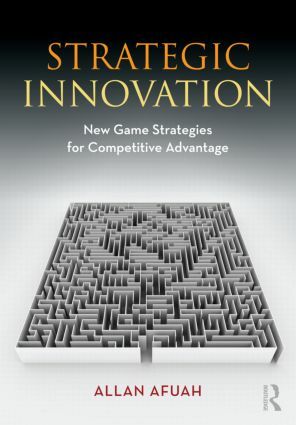 With a wealth of quantitative examples of successful strategies, as well as descriptive cases, Strategic Innovation will complement courses in strategy, and technology and innovation. Case 8 Botox: How Long Would the Smile Last? Case 10 Esperion: Drano for Your Arteries? Case 11 Xbox 360: Will the Second Time be Better?